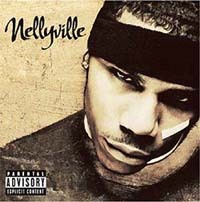 COMELL Haynes Jr, better known as Nelly, caused a stir in the music industry when his debut album Country Grammar sold over ten million copies in 2000, churning out multiple-smash-hits, including E.I., Ride With Me and Midwesterner. What makes Nelly an instant winner is his ability to move his music forward in funk-rooted blips and starts, embellished with high vocal whoops and exclamations. Nelly’s new album Nellyville reconciles with his sudden wealth, attachment to his hometown and the desire to make it big. In the opening title track Nelly reveals his dreams about a fictional city where everyone is prosperous, drugs are legal and the kids get to drive their cars at an early age. The album is split between club tunes and the grimy workout, to show he hasn’t forgotten his old neighbourhood. When Jenny, Tash and Liz started out they were worded as the girls to take the Spice Girls’ mantel and they lived up to their new tag of New-Gen Girls Pop Band and famously made chart history in 2001 with their multi-million selling single Whole Again. This Britain’s number one selling girlband is back with their brilliant, second album Feels So Good. The new album is loaded with ballads, funky disco and upbeat pop. The opening track It’s Okay is a confident production with a catchy rhythm. Love Won’t Wait is groovy and slick, just right for Saturday night dance floors. The Norwegian Supremos join hands for the moody The Last Goodbye, while Rob Davis lends his pen on Maybe I’m Right and Love Won’t Wait, making Feels So Good a collaboration of real talent. 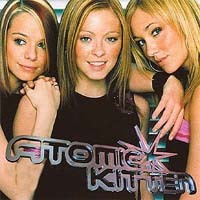 Atomic Kitten is probably one of the best sounding UK pop band today. 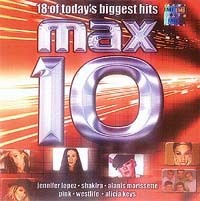 Max 10, the latest volume in the high-selling compilation series gather 18 of 2002’s biggest hit singles — spanning pop, modern rock, R&B, hip-hop, dance and adult contemporary. The track listing is balanced pretty evenly between all the genres. The brightest moments come in the form of Jennifer Lopez with I’m Gonna Be Alright (featuring Nas), Shakira with her ballad Underneath Your Clothes, Darren Hayes doing his solo hit Insatiable, Celine Dion with her comeback-blaster A New Day Has Come, and the current R&B sensation Alicia Keys doing A Woman’s Worth. The album does an excellent job of summarising some of the biggest hits of the year. With an astonishing 70 million records sold during an illustrious career, few can argue that Kenny G has been one of the most famous jazz artistes. Kenny has successfully distinguished himself as a master craftsman of various multiple-platinum albums. Three years after recording Faith — A Holiday Album and Classics In The Key of G, Kenny is back with another splendid offering — Paradise. 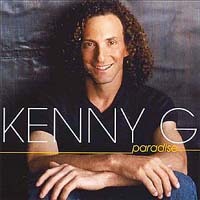 Echoing his earlier hits, Paradise is a smooth, mood-evoking album that captures the very essence of Kenny G’s artistry. Peace is a soulful melancholy that reflects Kenny’s musical trademark of effortlessly merging the genres of jazz, R&B and pop. Ocean Breeze sets the mood right with a festive rhythmic flavour. Malibu Dreams is a mood-evoking piece that demonstrates Kenny’s skill as the leading saxophonist of his generation. There are a number of compilations of Elvis and Beatles in the market, but what makes this compilation unique is that this is the only album that chronicles the recordings of Rolling Stones from ’60s through the ’90s. The set of two albums features digitally remastered collection of 40 tracks from their highly historical anthology plus four tracks especially recorded for this album. 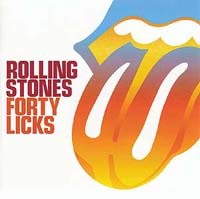 The significance of Forty Licks is that it begins when Rolling Stones started with the two earliest songs It’s All Over Now and Not Fade Away dating back to 1964. The first album ranges from the breakneck cover of Buddy Holly’s classic, and the popular string of self-penned singles — Satisfied, Paint It Black, The Last Time, 19th Nervous Breakdown and Get Off My Cloud— to the mellow Have You Seen My Mother Baby? documented in all its glory. The second album boasts of legendary anthems like Brown Sugar and Start Me Up, followed by the disco-based Miss You. Every track still shines like a grubby diamond. Tracks such as It’s Only Rock N’ Roll and Fool To Cry still sound as fresh and heartfelt as ever before. The four new songs featured on the album brings their career right into 2002. Don’t Stop is a solid mid-paced rocker with a memorable chorus; Stealing My Heart is a gritty downbeat rocker; Keys To Your Love is a soul-pop ballad that Mick handles effortlessly; and Losing My Touch is a smoky ballad featuring craggy-voiced Keith Richards. 1. What song did Aaliyah do with DMX? 2. On which Creedence Clearwater Revival hit track did the lines "Things are piling up to pull me down…" appear? 3. What was the first hit single from Apollo 440’s Millennium Fever? 4. Which band were Stephen Stills and Neil Young a part of before Crosby, Stills & Nash? 5. What Jimi Hendrix song did Fiona Apple do a cover of ? 6. What is Juvenile’s real name? 7. Ash publically burned CDs of which boyband? 8. What instrument did Rix Jennings play in The James Gang? 9. In Lord Abortion which female singer did Cradle of Filth collaborate with? 10. What is the name of the Internet company/ record which label former Talking Head Jerry Harrison co-founded?